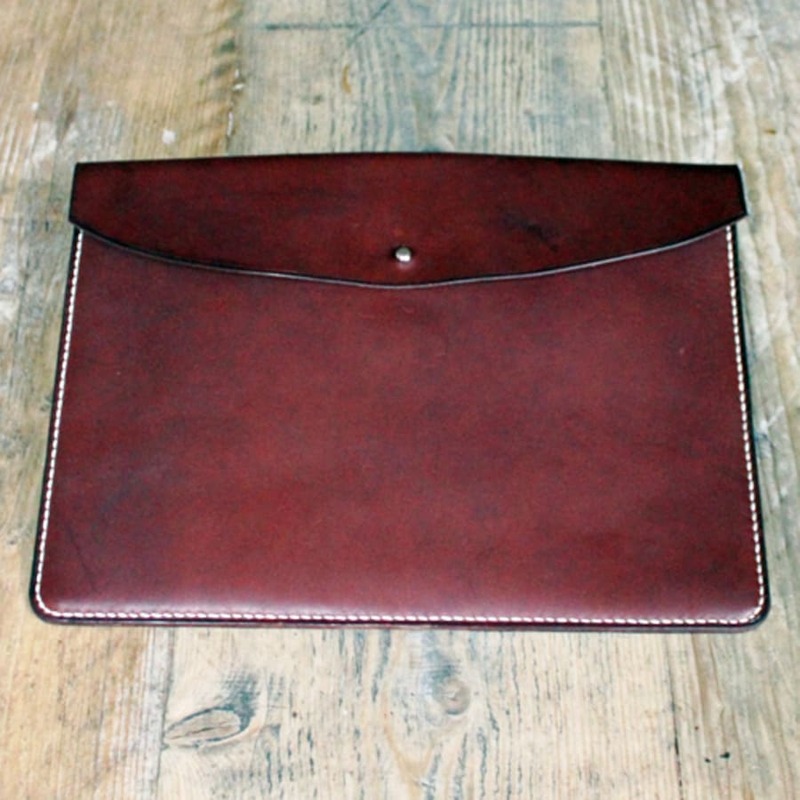 Learn to saddle stitch a beautiful, Italian leather folio perfectly sized for an i-Pad or small tablet and lined in felt. On this short leather course you will learn to make a beautiful, Italian leather folio. If you have already tried saddle stitch and fancy even more stitching to do, then this is the class for you! The folio is lined in 100% felted wool for added protection, is an envelope design with three hand stitched edges and has a small Sam Browne stud fastening in either brass or nickel. 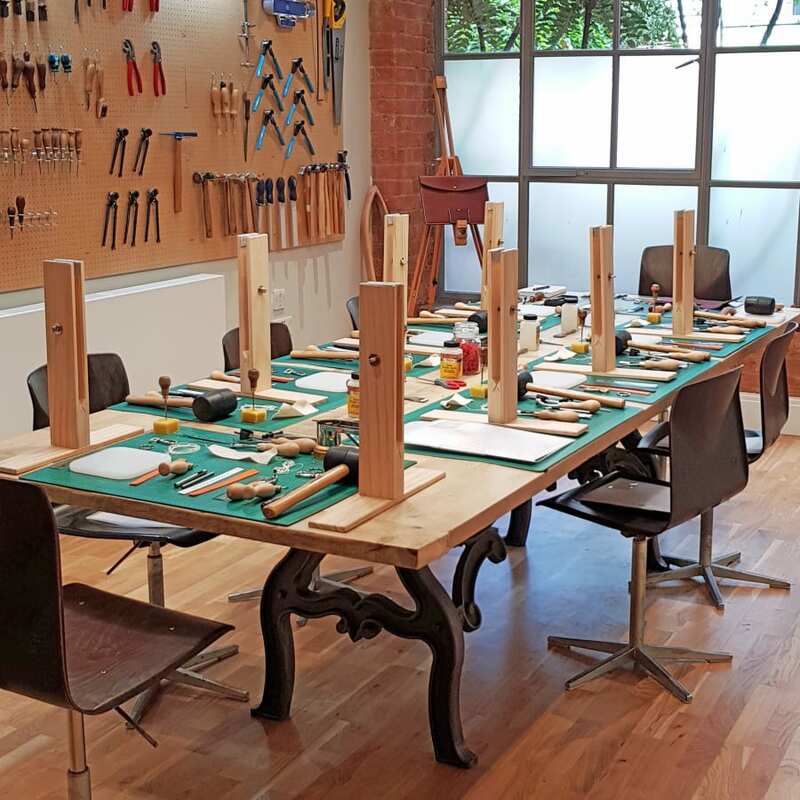 COURSE DESCRIPTION This fun, one-day course is taught by leather craftsman Frances Pinnock, formerly of Bill Amberg Studio and bag maker Simpsons. There’s no greater feeling than the satisfaction of making something yourself. 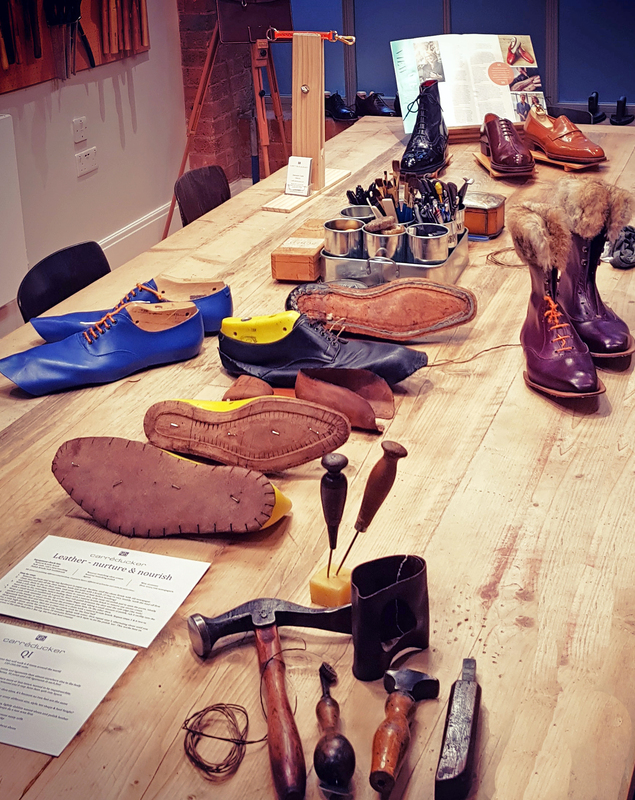 We hope that this practical leather work course and the comprehensive making notes supplied in class will encourage you to try even more saddle stitch projects in the future. 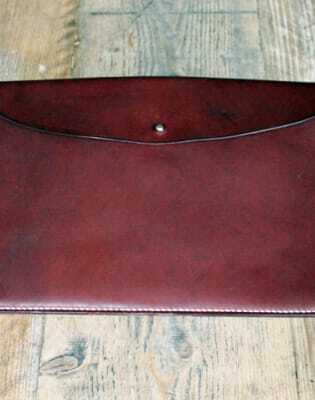 The beautiful leather we work with just gets better and better with age and use! All the materials needed for the course are provided and aprons are available for your use. We do ask you to please wear trousers so that you can use the stitching clam comfortably.